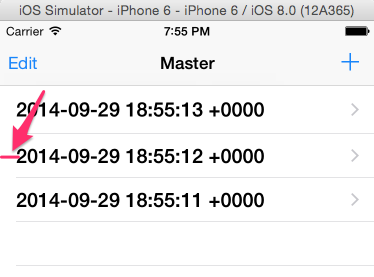 If I create a UITableViewController, for example via File → New Project... → iOS → Master-Detail Application in Xcode, a UITableView is created with a prototype cell. A left "margin" is automagically created between the Cell's Content UIView left edge and the "Title" text's UILabel element as shown below in orange. So, where is the width of this gap set, and how can it be adjusted? My preferred option would to be able to set the width of this gap from within Interface Builder, but I would also like to understand where this gap is being set, and how to alter it programmatically. You just need to set contentInset property of the table view. You can set value according to your need. How do I eliminate the margin on the left side of a UITableView, without creating a gap on the right? 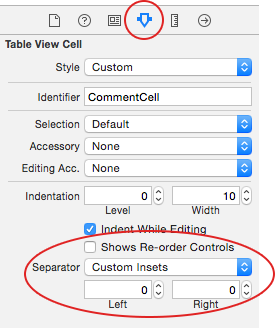 In the TableView "Attributes inspector" set the Separator Insets to "Custom" with Left = 0. That is all you have to do! This, however, would not work for imageView. I think I just came up with an easy solution. lol. The top answer have some problem...it decrease the left gap, but resulting a right gap. I used the constrains in Interface Builder. First add a -15 left margin constrain to the Table View. Then add some Indentation to the Table Cell to make the contents look better. Add the constraint. Remember to uncheck the "spacing to nearest neighbor". The Table Cells will move left. But seems too close to margin. So choose the Table Cell, and add some indentation in the right area. Not the answer you're looking for? 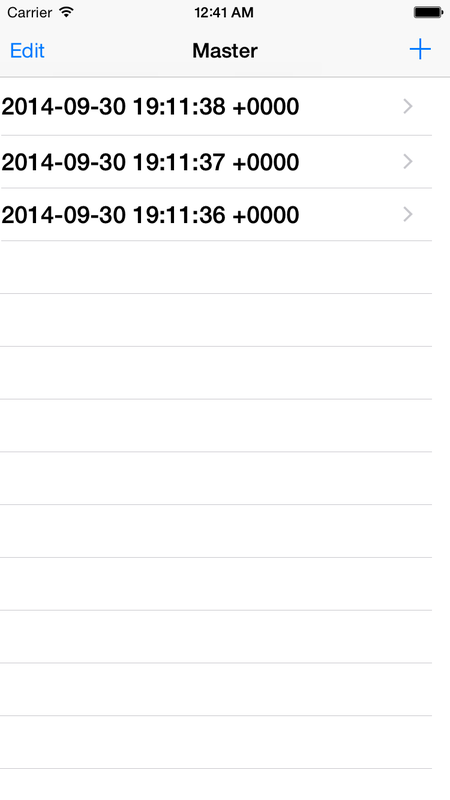 Browse other questions tagged ios objective-c uitableview interface-builder or ask your own question. How can I supply a custom `UITableCell` to an `UITableView` with the same layout metrics that a built-in cell would have? How to deselect a selected UITableView cell? How to adjust left and right insets or margins for UITableView tableHeaderView?